Be not alarmed, madam, on receiving this letter, that it contains any repetition of those sentiments or renewal of those offers which were this evening so disgusting to you. But I must be allowed to defend myself against the charges laid at my door. Mr. Collins: And this is your last invitation, on this visit, at least. Elizabeth: It is truly a very cruel deprivation. I hardly know how I shall bear the loss of her ladyship's company. Mr. Collins: You feel it keenly! Yes, of course you do, my poor young cousin. Yes, yes, but this is all extremely vexing. I am QUITE put out! Elizabeth: You are very good. have been designed for each other! Maria Lucas: Oh, how much I shall have to tell! Elizabeth: How much I shall have to conceal. Lydia: There! Is not this nice? Cold ham, and pork, and salads, and every good thing! And we mean to treat you all. Oh, but you must lend us the money, we spent all ours. Look! (she holds up a bonnet) I don't think it is very pretty, but I thought I might as well buy it as not. Kitty: It's vile, isn't it, Lizzy? Elizabeth: Very ugly. What possessed you to buy it, Lydia? Lydia: Oh, there were two or three much uglier in the shop. I shall pull it to pieces when I get home and see if I can make it up any better. I shouldn't think he cared three straws about her. Who could about such a nasty freckled little thing? Lydia: Kitty, you're squashing my bandbox! Kitty: You should have put it on the roof, there isn't ROOM for it! Lydia: It's the way you sit. If you didn't lollop about there'd be room for us all AND the bags. Kitty: I don't lollop, YOU do! Jane: But I cannot believe Mr Darcy would fabricate such dreadful slander,and involving his own sister too. No, it must be true. ...Perhaps there has been some terrible mistake. Elizabeth: No, Jane, it won't do! You will never be able to make them both good! There is just enough merit between them to make one good sort of man. And for my part I'm inclined to believe it's all Mr. Darcy's. Elizabeth: I think it's a very good thing that the regiment should be removed from Meryton, and that we should be removed from the regiment. Mrs. Bennet: Oh, Lizzy, how can you say such a thing? Elizabeth: Very easily, ma'am. If one poor company of militia causes such havoc in our family, what would a whole campful of soldiers do? Lydia: (Dreamily) A whole campful of soldiers! Mrs. Bennet: I remember when I was a girl. I cried for two days when Colonel Miller's regiment went away. I thought I should have broke my heart! Lydia: Well, I'm sure I shall break mine. Mrs. Bennet: There, there, my dears. But your father is determined to be cruel. Mr. Bennet: I confess I am. I'm sorry to be breaking so many hearts, but I have not the smallest intention of yielding. Mary: I shall not break my heart, papa. The pleasures of Brighton would have no charms for me. I should infinitely prefer a book. Kitty: Mrs Forster says she plans to go sea-bathing. Lydia: I am sure I should love to go sea-bathing! Mrs. Bennet: A little sea-bathing would set me up forever! Mr. Bennet: And yet, I am unmoved. Well, well. I'm glad you are come back, Lizzy. I'm glad you are come back, Jane. Lydia: Ooohh! (Lydia stomps) I want to go to Brighton! she saw anything of Bingley in London. Well, he is a very undeserving young man! And I don't suppose there's the least chance of her getting him now. If he should come back to Netherfield, though. Elizabeth: I think there's little chance of that, Mama. Mrs. Bennet: Oh, well, just as he chooses. No one wants him to come! Though I shall always say he used my daughter extremely ill; and if I was her, I would not have put up with it. Well, my comfort is, she will die of a broken heart and then he'll be sorry for what he's done! So, the Collinses live quite comfortable, do they? Well, I only hope it will last. And I suppose they talk about having this house, too, when your father is dead. They look on it as quite their own, I dare say. Elizabeth: They could hardly discuss such a subject in front of me, Mamma. Mrs. Bennet: Well, I make no doubt they talk about it constantly when they're alone. Elizabeth: Yes! But I think Mr Darcy improves on closer acquaintance. Wickham: Indeed? In what respect? Has he acquired a touch of civility in his address? For I dare not hope he is improved in essentials. Elizabeth: No. In essentials I believe he is very much ... as he ever was. Elizabeth: I don't mean to imply that either his mind or his manners are changed for the better. Rather, my knowing him better improved my opinion of him. Mrs. Forster: Wickham! Wickham, come here. Wickham: At your service, ma'am. Elizabeth: Yes, go, go. I would not wish you back again. Lydia: What a laugh if I should fall and break my head! Kitty: I wish you WOULD! I shall conquer this. I SHALL. Mrs. Gardiner: I think one would be willing to put up with a good deal to be mistress of Pemberley. Mr. Gardiner: The mistress of Pemberley will have to put up with a good deal, from what I hear. Mrs. Gardiner: Well, she's not likely to be anyone we know. And of all this I might have been mistress. Mrs. Gardiner: This fine account of Darcy is not quite consistent with his behavior to poor Wickham. Elizabeth: Perhaps we might have been deceived there. Mrs. Gardiner: That's not likely, is it? Mr. Darcy: Miss Bennet! I ... eh. Mr. Darcy: I returned a day early. Excuse me, your parents are in good health? Elizabeth: Ah, yes, they are very well, I thank you, sir. Mr. Darcy: I'm glad to hear it. How long have you been in this part of the country? Elizabeth: But two days, sir. 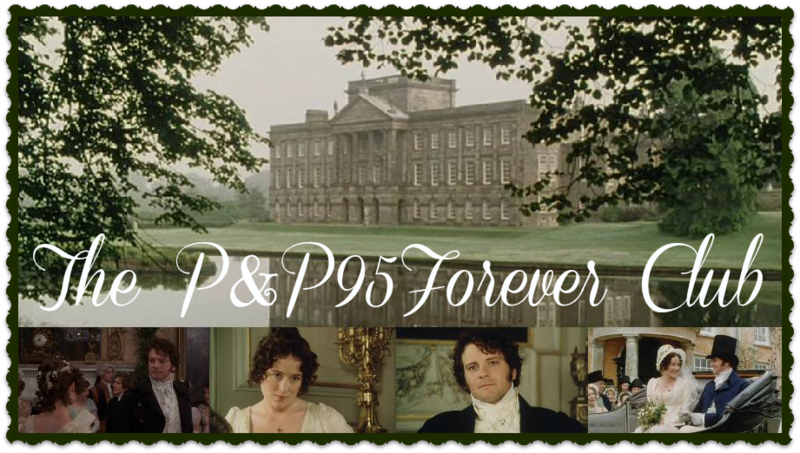 Mr. Darcy: And where are you staying? Elizabeth: At the inn at Lambton. good health, and all your sisters? Um. Elizabeth: Yes, they’re all in excellent health, sir. allow me to ... do I ask too much to introduce my sister to you during your stay at Lambton? Elizabeth: I should be very happy to make her acquaintance.